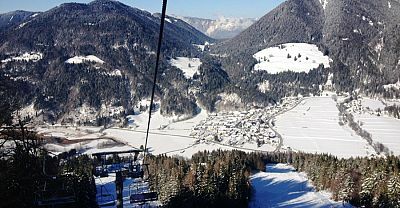 Located on the border with Austria & Italy, Kranjska Gora is the most famous mountain resort in Slovenia, hosting annual world cup skiing and ski-jumping events. 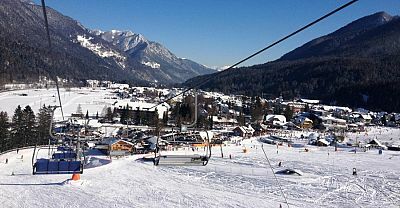 The skiing is the main draw for many people – Kranjska Gora is a superb resort for families and beginner – intermediate level skiers, with pistes easily accessible from the village. 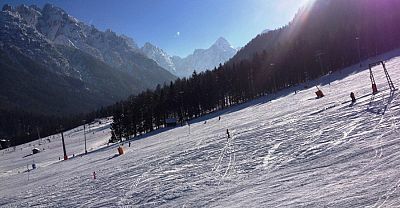 For more advanced skiers there are the World Cup runs at Podkoren (connected to the main Kranjska Gora ski area) and 8 resorts in Italy, Austria and Slovenia, within 30-60 minutes drive. 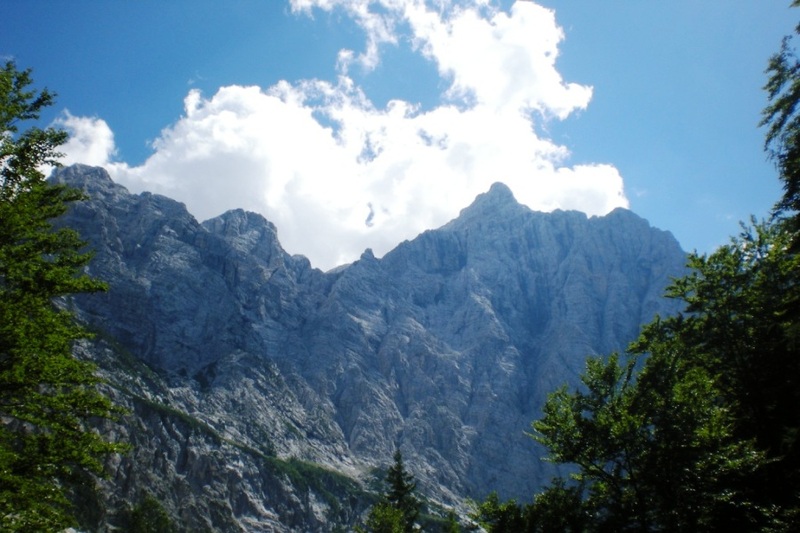 With stunning mountain scenery, great access to the Triglav National Park and a host of summer and winter outdoor pursuits (walking, mountain biking, horse riding, cross country skiing, mountaineering), Kranjska Gora remains very popular all year round. 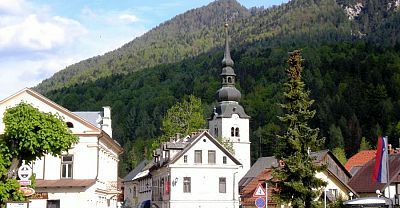 The town itself is a pretty alpine affair, very family friendly, with lots of lively restaurants, bars, a couple of swimming pools / spas, mountain bike park and a Summer Sledging piste. 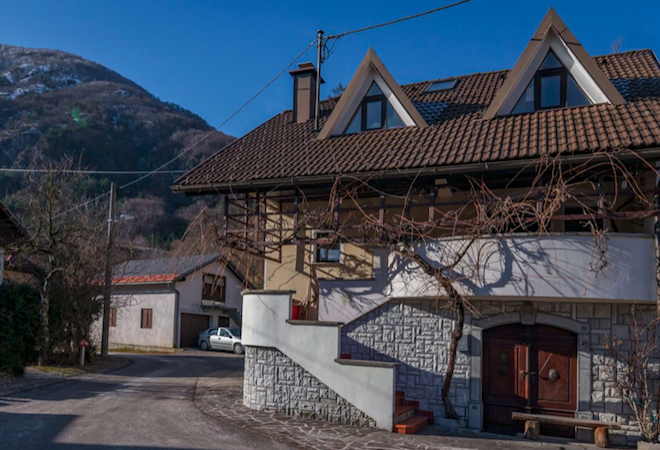 Around Kranjska Gora are a number of extremely pretty villages (Podkoren, Rateče, Mojstrana, Dovje), jumbles of traditional Gorenjska style farmhouses usually focused around excellent local gostilna's (inns). 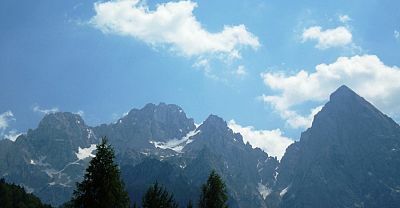 For Kranjska Gora Weather click here. 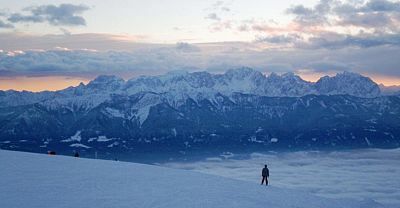 Kranjska Gora is perhaps best known for its place on the FIS skiing and ski jumping World Cup Calendar. 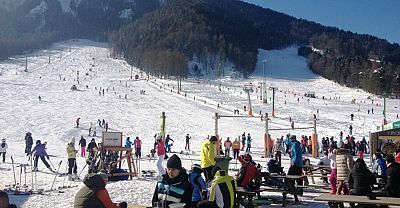 First comes the "Pokal Vitranc" on the slopes of the Podkoren side of the Kranjska Gora area, usualy taking place in late Feb or early March. The race celebrated its 50th year in 2011 and normally features a day of giant slalom and a day of slalom racing. 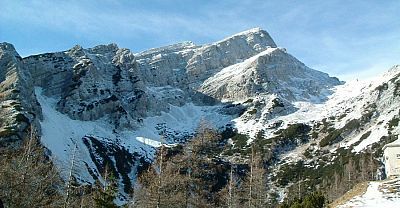 Later in March and usually more or less marking the close of the Kranjska Gora ski season is Planica World Cup Ski Jumping. 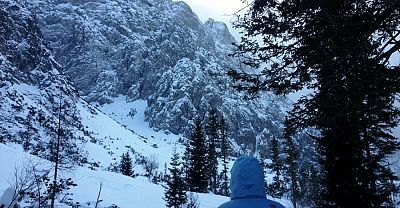 Planica is a few kilometres from Kranjska Gora and is one of the sport's most renowned centres dating back to 1930, formerly the highest jump in the world and home to more world record jumps than any other ski jumping centre in the world. 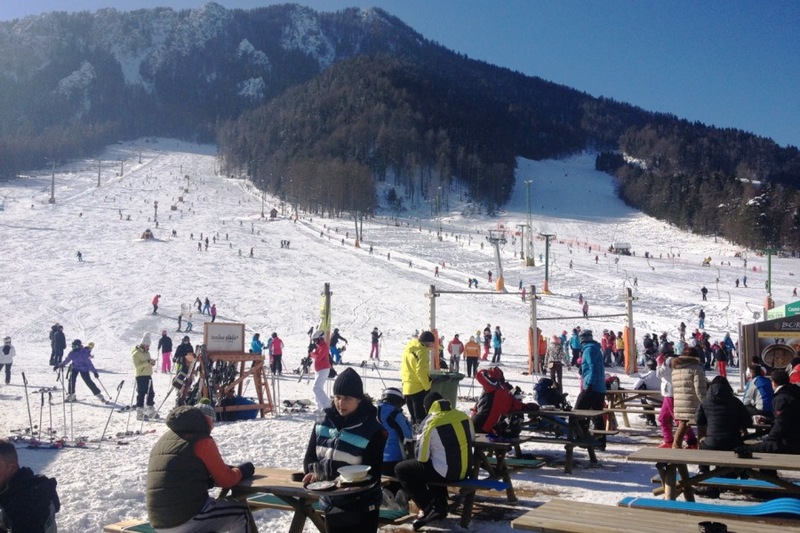 Planica is a massive event in the Slovenian sporting calendar, which seems to bring the whole area to a standstill and is a fantastic place to come and witness the sight of people voluntarily throwing themselves hundreds of metres through the air on skis! 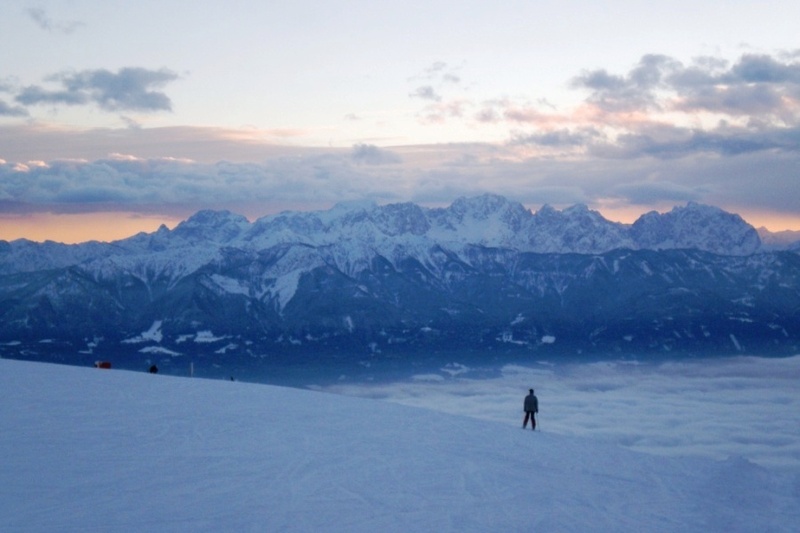 Kranjska Gora lies at the point where Slovenia, Italy and Austria meet, which adds a fascinating twist to holidays in the region especially as unlike many "blurred" border regions the 3 countries remain quite distinct in terms of language and culture. 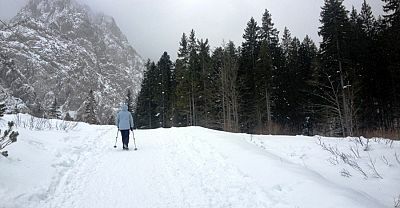 You can easily visit all three countries in a day from Kranjska Gora or indeed ski in all three countries over a long weekend with resorts over each border in very close reach. 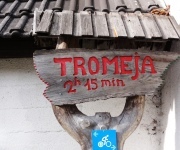 For those wanting to experience the triple border up close and personal, a lovely 2 hour walk up to the Tromeja (Literally meaning triple border) from the village of Rateče, 5 minutes drive from Kranjska Gora takes you to the point where all three countries meet via some spectacular views of the Julian Alps. Planica ski jumping weekend - World Cup ski jumping at the world's most famous ski jumping venue. 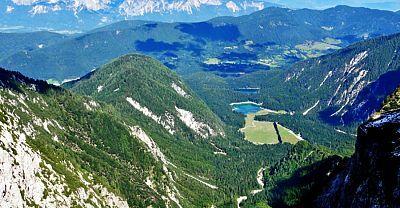 The Kranjska Gora MTB Park - home of various World Cup mountain biking events but you dont have to be a champion to give it a try! 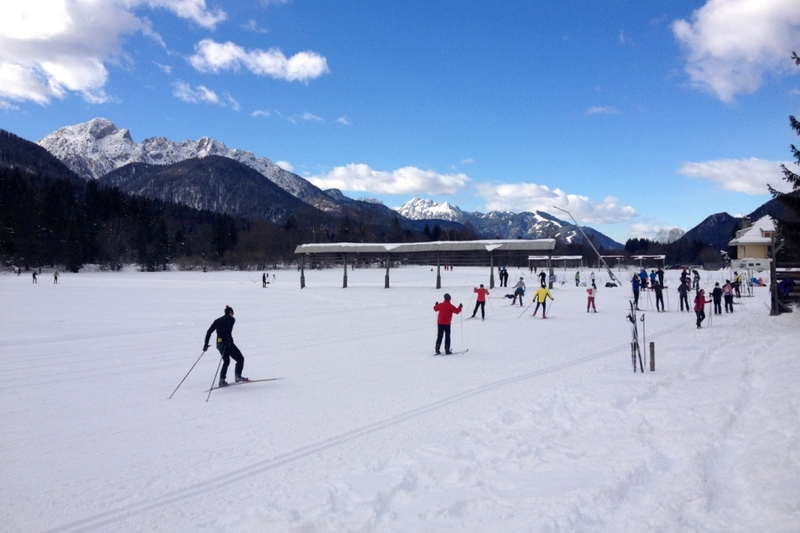 Family skiing on Kranjska Gora's exceptionally accesible pistes. 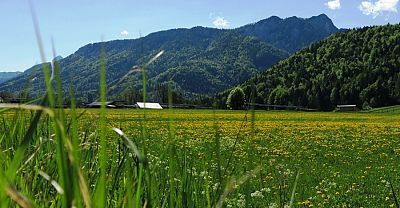 The Idyllic alpine vilages of Mojstrana, Podkoren & Rateče - lovely unspoilt alpine vilages with beautiful old farmhouses and traditional regions. 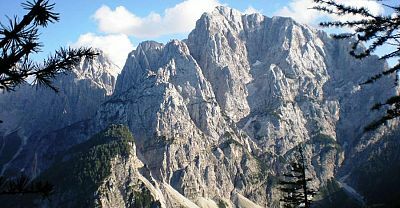 Walk to the triple border point of Slovenia, Austria and Italy and soak up the magnificent views of the Julian Alps on the way. 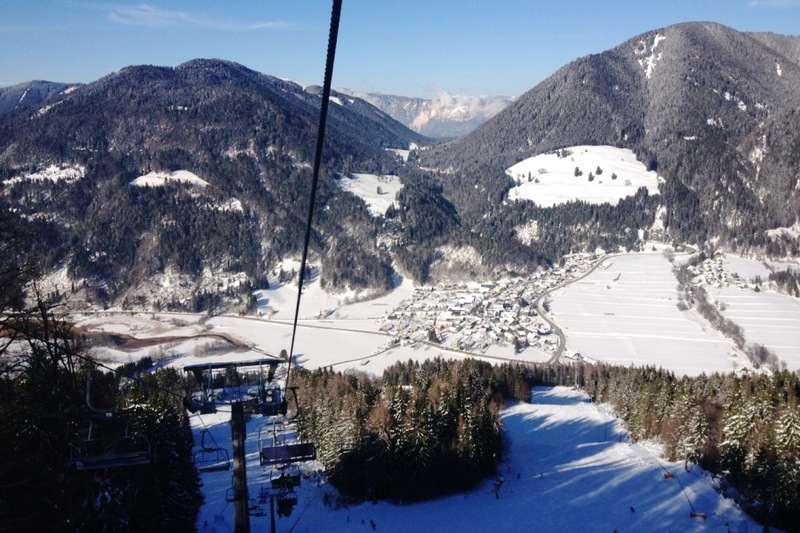 Pokal Vitranc - World Cup skiing in Kranjska gora, now over 50 years young! 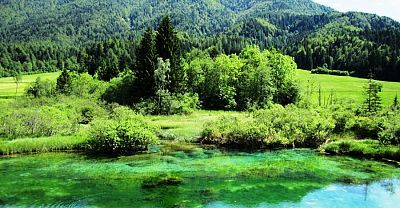 Walk around or take a dip in the newly rehabilitated stunning Lake Jasna, a couple of minutes drive from Kranjska Gora in a magical position under the Julian Alps. Wonderful bike trail running from the Italian border to Jesenice along the course of a disused railway line. 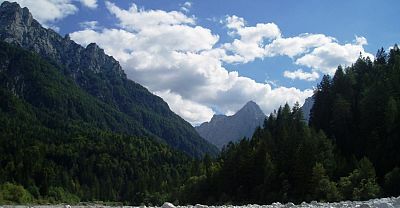 The Vrata Valley & the jawdropping north face of Mount Triglav close to Mojstrana. 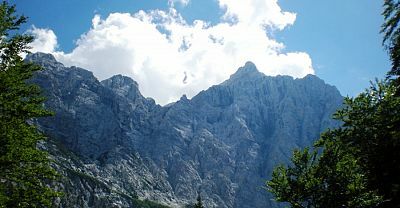 The start of seveal routes up Triglav for the energetic. 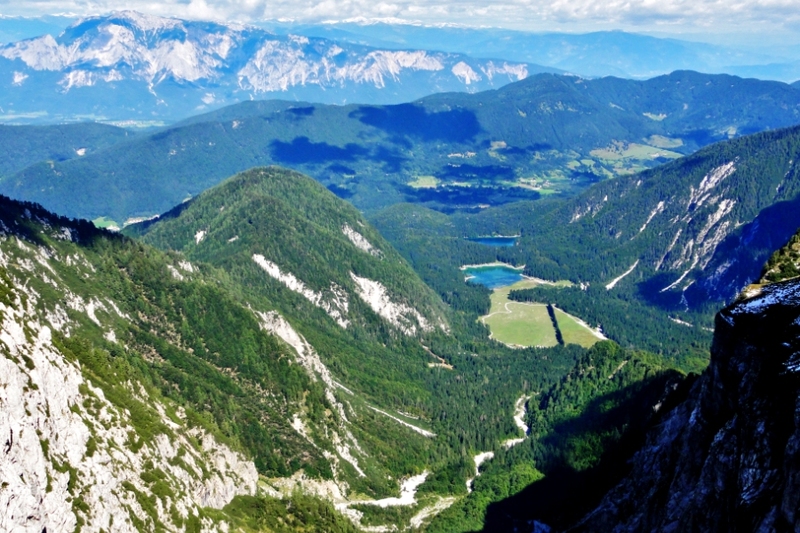 The Vršič Pass - Slovenia's most beautiful drive and start point for a variety of wonderful walks, running from Kranjska Gora to Bovec. 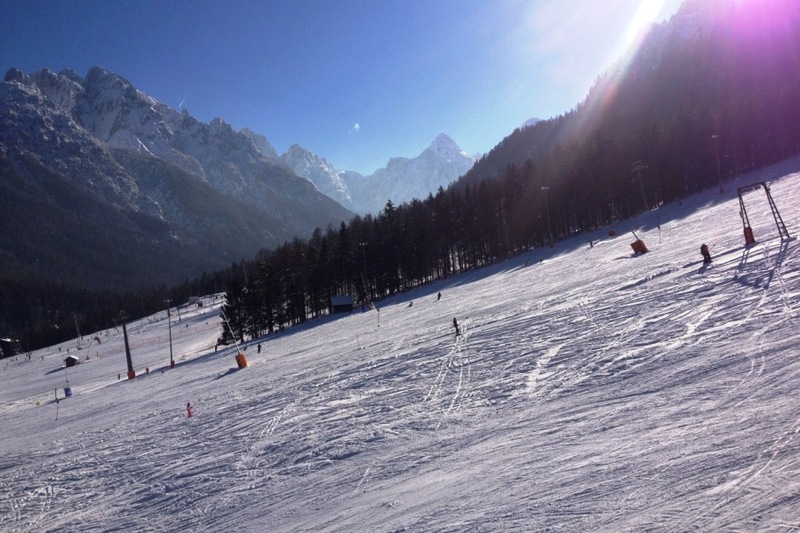 SKIING: There is mainly family - intermediate level skiing at Kranjska Gora or over the border in Italy at Tarvisio-Monte Lussari (20 mins) or Sella Nevea (35 mins) or in Austria at Arnoldstein (25 minutes), Gerlitzen (30 mins) or Nassfeld (1 hour). 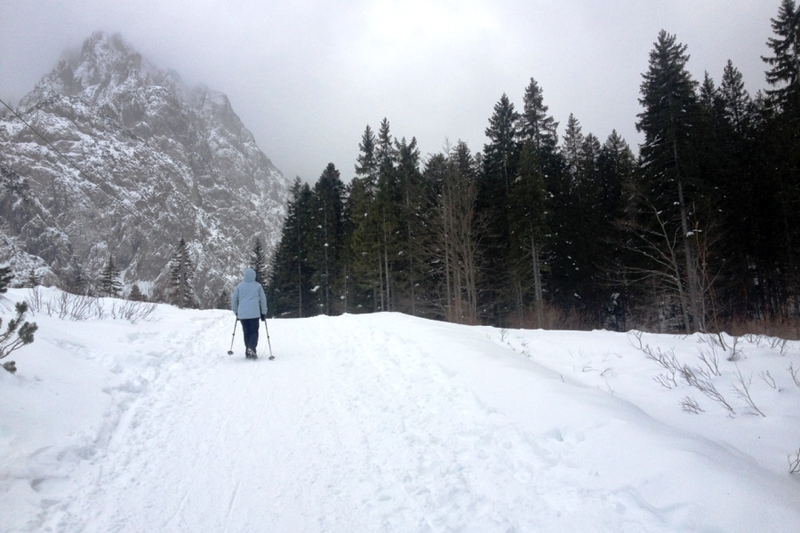 There is excellent cross country skiing at Rateče and countless ski touring opportunities in the region. 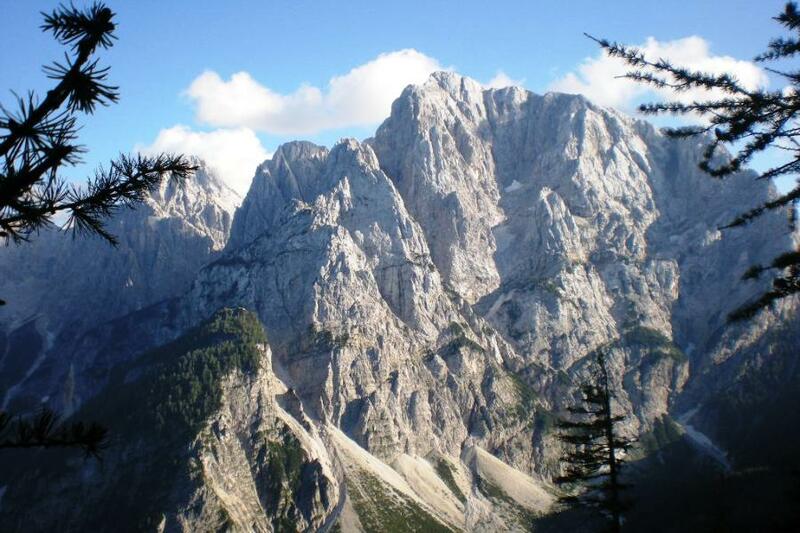 HIKING: There is outstanding hiking for all levels throughout the region and it is one of the main access points into the beautiful Julian Alps. 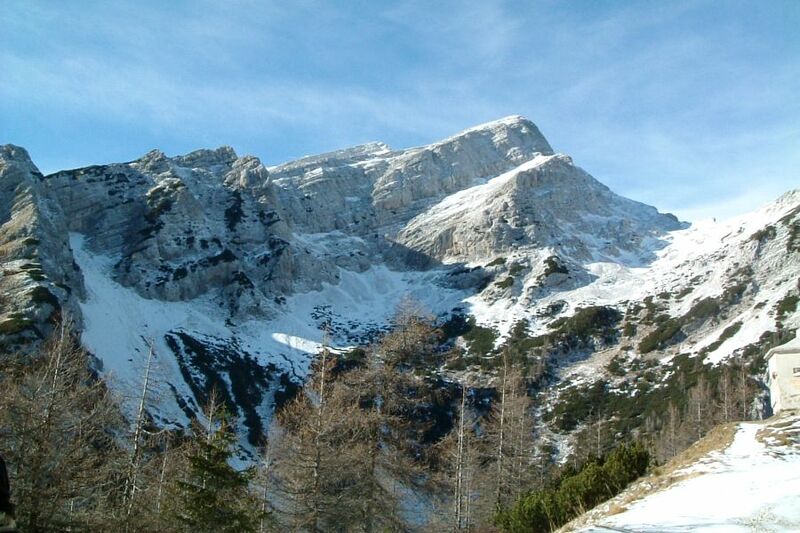 There is everything from gentle valley walking for example around Lake Jasna or the Zelenci Lakes Nature Reserve or up the Tamar Valley through to semi technical climbs up many of the region's most famous peaks such as Špik and Jalovec. 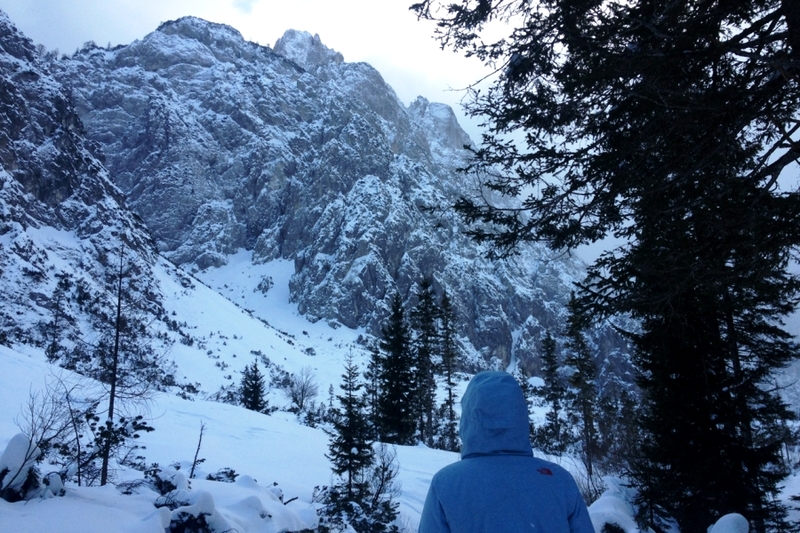 One of the regions most loved areas for walking is the Vršič Pass - a stunning mountain pass which runs from Kranjska Gora to Bovec and from the top of which there are a range of beautiful high altitude walks. MOUNTAIN BIKING: There is outstanding biking for all levels throughout the region. 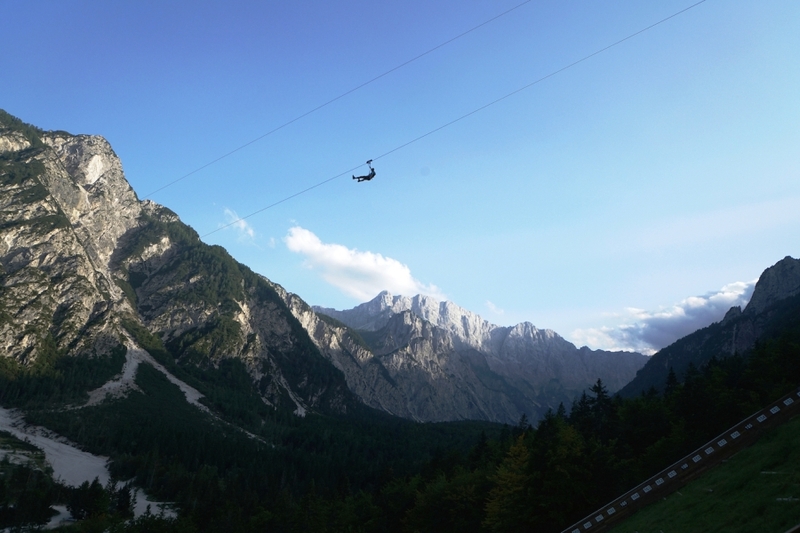 The MTB park on the Kranjska Gora ski slopes is open in Summer (lifts run during Summer months to take you to the top of the runs) and also plays host to a variety of international MTB competitions. 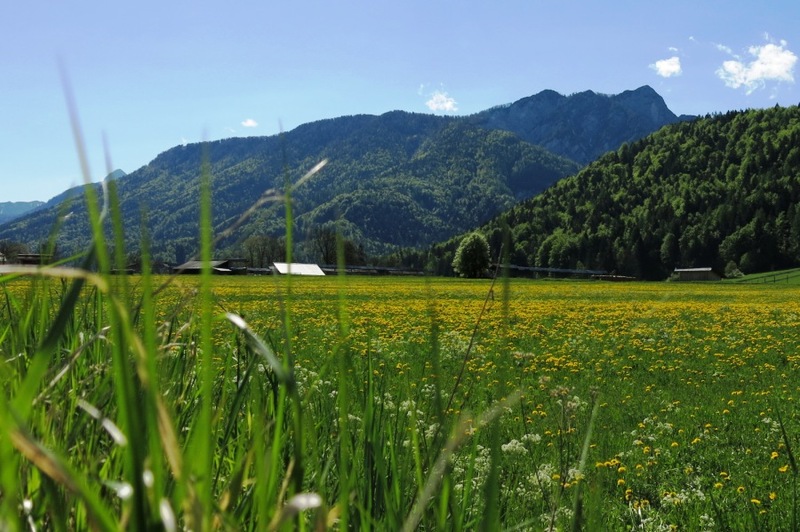 There is a fantastic flat bike trail which runs along an old railway from Jesenice past Kranjska Gora into Italy which is great for families and gentle biking in lovely surroundings. 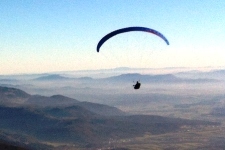 PARAGLIDING: The nearest paragliding point is at the triple borders of Italy, Austria & Slovenia on the Austrian side which is reached via the small town of Arnoldstein to Dreilaendereck (which means triple border in German). 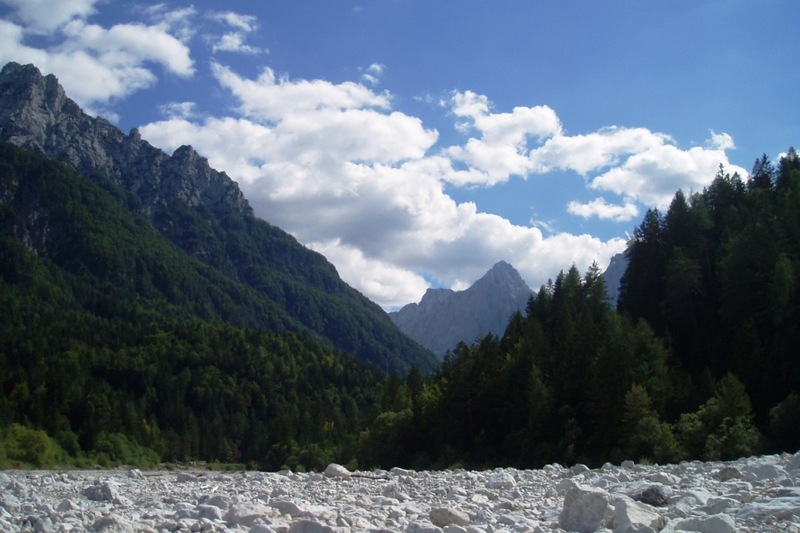 FLY FISHING: The upper Sava River in Kranjska Gora as well as the Pisnica and Bistrica rivers are small but beautiful and offer excellent flyfishing. 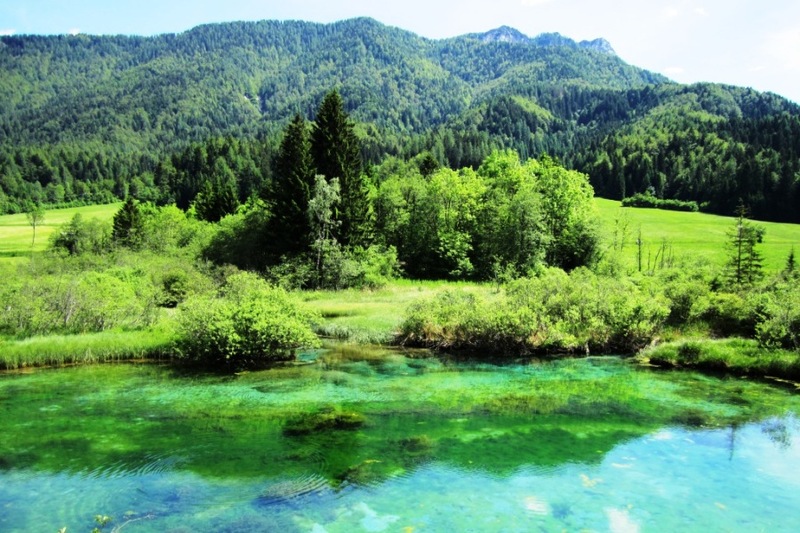 SWIMMING: There are a number of pools in Kranjska Gora's hotels. The Larix Hotel offers excellent facilites that incorporate a wellness centre, kids pool and swimming pool with great views of the pistes. The Kompas Hotel has an indoor swimming pool and a seperate kids pool with slide. Hotel Lek boasts a swimming pool and whirlpool. Hotel Spik offers a counter current pool for active swimmers and also a kids pool with playground equipment. HORSE RIDING: There are a huge number of possibilities for beautiful riding trips in the region. The riding club in Žirovnica is a good place to go. GOLF: Kranjska Gora Golf Club offers a six hole course and practice area for golfers looking for some sport or to hone their skills. 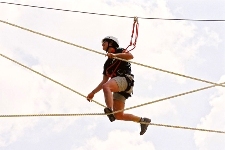 ADRENALIN PARKS: Kranjska Gora Summer Park offers a range of adrenaline based activities. The Summer Toboggan is great for the kids. 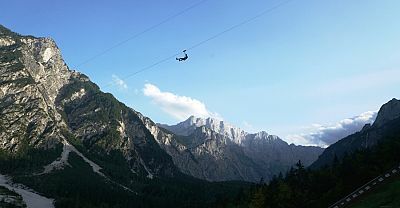 It covers a length of 1.5km down the Vitranc 1 ski slope and travels at speeds up to 40km/h. Closeby to that is the Bike Park with numerous free-riding obstacles. 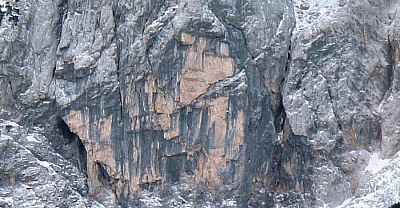 Also in the area is the Bedančeva drča chut; 70 metres of fun on an air cushion down hill. 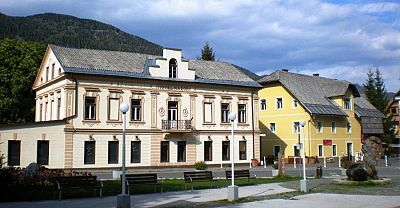 ARCHITECTURE & HISTORICAL SITES: The main architectural attractions of the region are the charming authentic alpine villages around Kranjska Gora including Mojstrana, Dovje, Podkoren & Rateče. 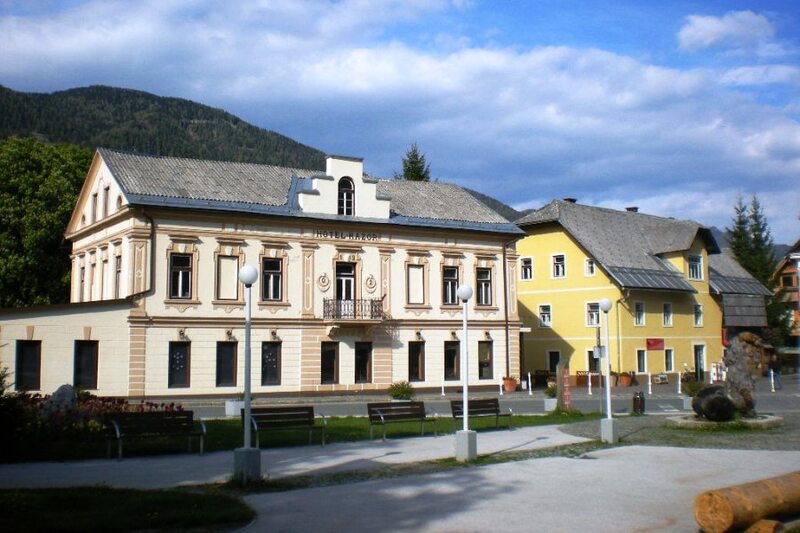 In Kranjska Gora there are some interesting buildings in and around the old church square as well as some wonderful original old alpine farm buildings and the 300 year old Liznjekova Hisa which also houses a museum. 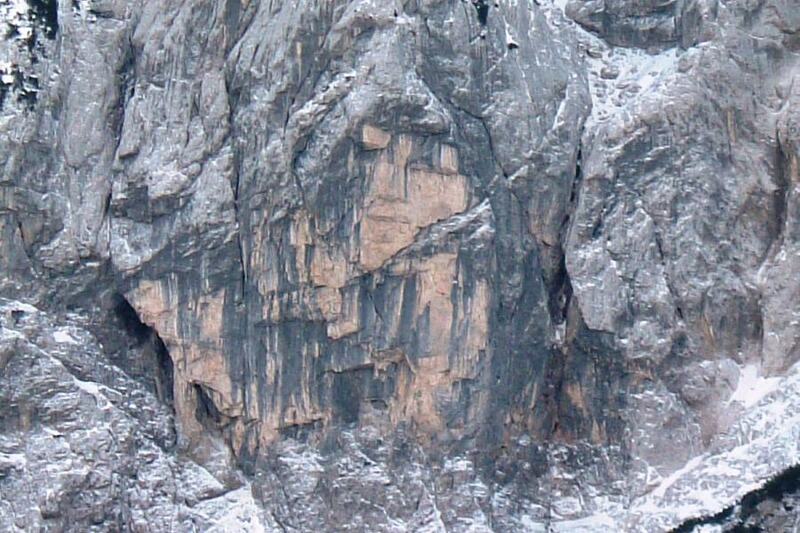 On the Vršič mountain pass above Kranjska Gora is the Russian Chapel a monument to the hundreds of Russian prisoners of war who died building the road during the first world war. 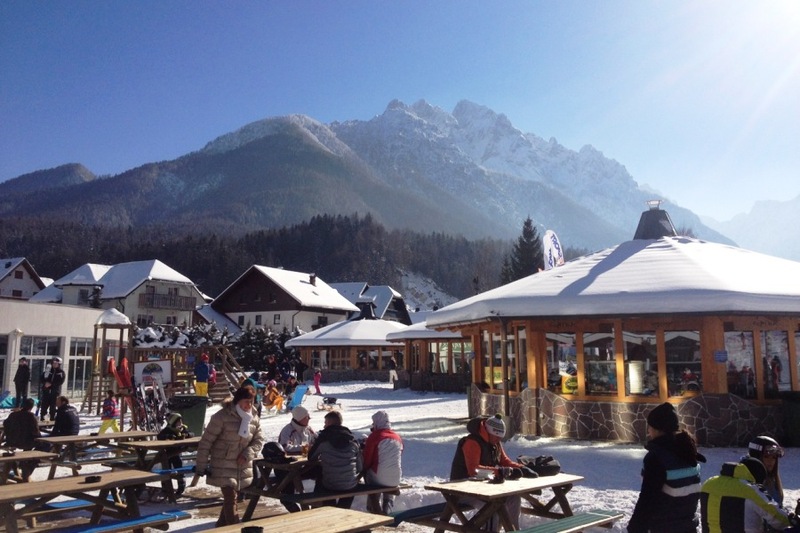 FESTIVALS: The World Cup ski jumping weekends (Planica) and ski weekends (Pokal Vitranc) are times of great celebration in Kranjska Gora with numerous events and celebrations taking place in and around Kranjska Gora. 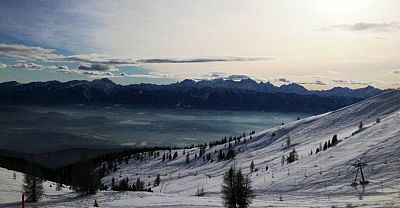 The ski jumping weekend is particularly big with up to 100,000 visitors coming to the area. 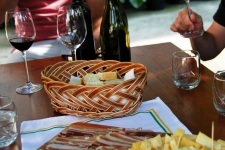 FOOD & DRINK: Like much of Slovenia the Kranjska Gora area offers some excellent and good value options for eating out with many villages offering charming traditional taverns or "gostilne". The cuisine is certainly hearty alpine based food and portions tend to be large! 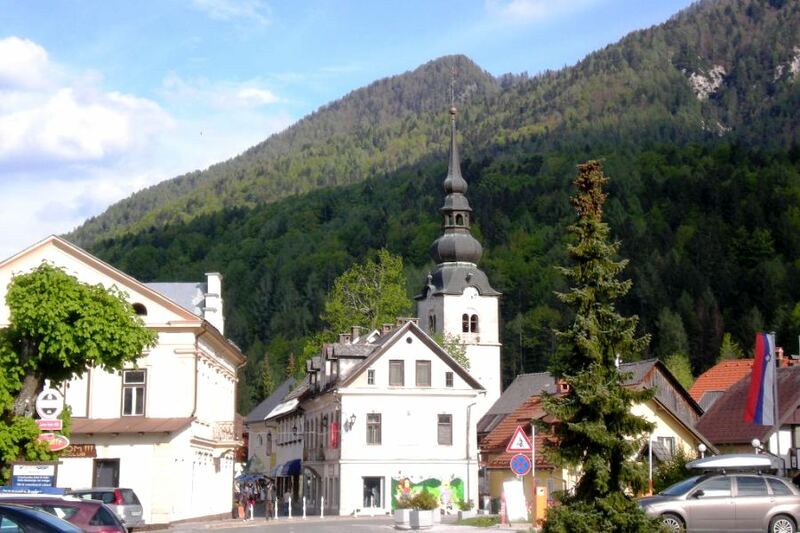 The village of Rateče five minutes from Kranjska Gora on the border with Italy is well known for its restaurants and is a great place to eat - especially Šurc and Žerjav restaurants. 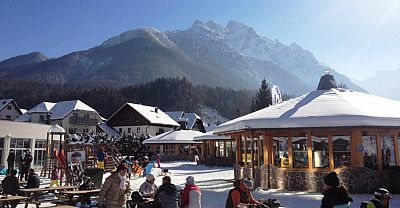 In Kranjska Gora itself the Pri Martinu restaurant is an excellent and great value place to eat. 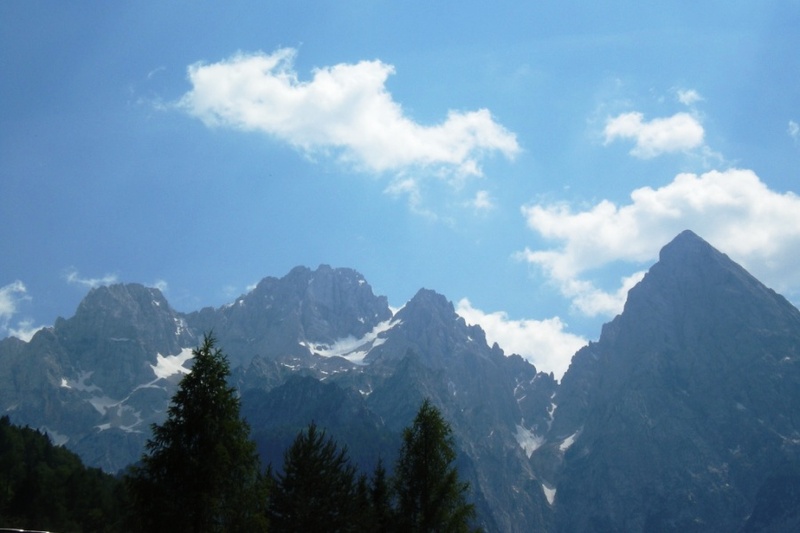 MUSEUMS & GALLERIES: Opened in 2010, the Slovenian Alpine Museum in the town of Mojstrana is an interesting record of the long Slovenian alpine and mountaineeering tradition. The 300 year old Liznjekova Hiša in the centre of Kranjska Gora is a wonderful example of Slovenian rustic architecture and is home to an ethnographic museum and permanent exhibition about Josef Vandot who wrote the popular Slovenian "Kekec" children stories. SPA & WELLNESS: There are excellent spa facilities at the Hotel Larix in Kranjska Gora and Hotel Špik in Gozd Martuljek 5 minutes from Kranjska Gora. 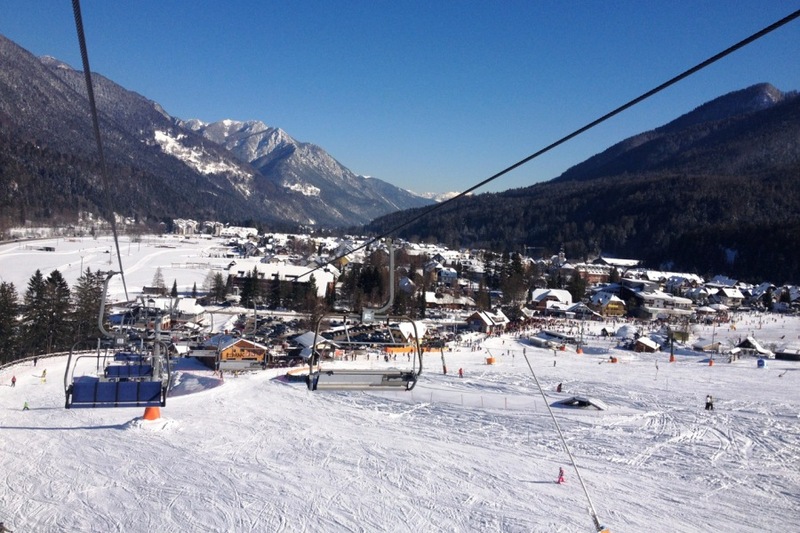 OTHER: Dont miss the Summer toboggan run on Kranjska Gora's ski pistes which is a must for kids! There's a great sled dog school just over the border with Italy which does easy intro courses. 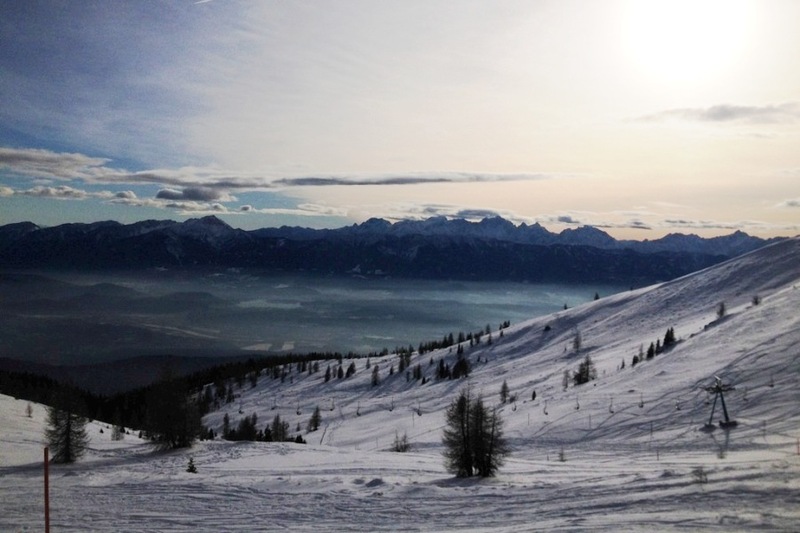 There's a huge range of other fun Winter activities possible in the area including skidoo trips, iceclimbing, snow shoe walks and night time toboganning. 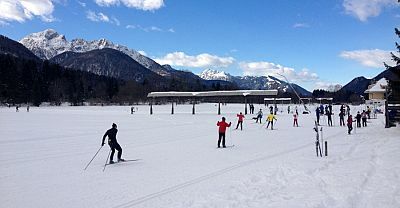 There is a small Ice rink in the centre of Kranjska Gora in the Winter months.